Traveling to the Smoky Mountains with a large group can be a ton of fun. 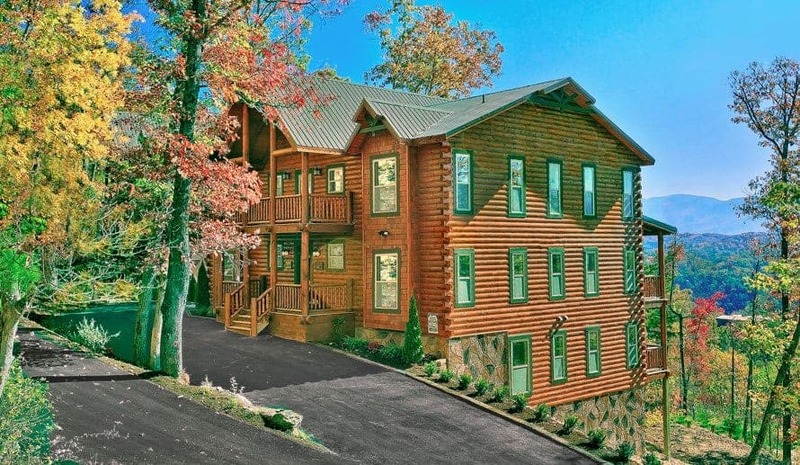 Not only is this the perfect bonding experience for you and your travel companions, but it is also a great way to experience many of your favorite Gatlinburg and Pigeon Forge attractions at a reduced rate. 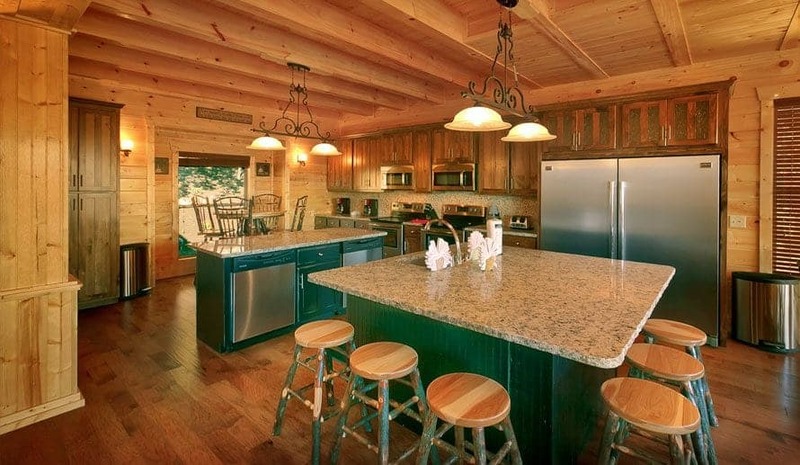 In addition, groups choosing to stay inside one of Large Cabin Rentals’ large Pigeon Forge cabin rentals will also have the added benefit of being just a short drive from many of these attractions. For a complete breakdown of a few of our favorite Pigeon Forge attractions near our large Pigeon Forge cabin rentals, as well as a map for driving directions, be sure to read below. Looking to experience all the thrills and excitement that the Smoky Mountains have to offer? 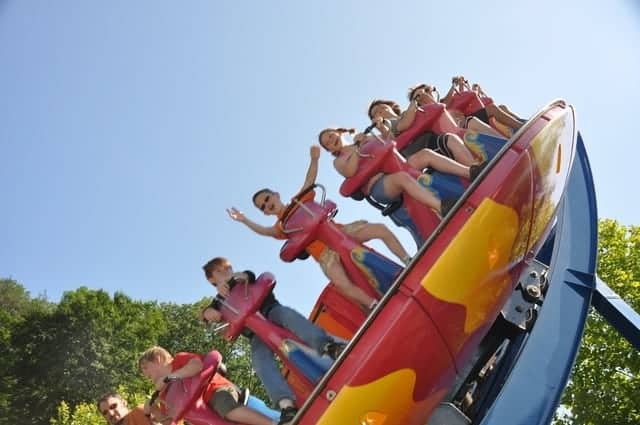 Be sure to check out these family-friendly Pigeon Forge amusement parks near our large Pigeon Forge cabin rentals. Located in the center of one of the fastest growing entertainment venues in the Smoky Mountains, The Great Smoky Mountain Wheel at The Island in Pigeon Forge offers stunning panoramic views from as high as 200 feet in the air. That is the equivalent of standing on top of a 20-story building. What is even better about this experience, is that guests are able to enjoy this beautiful view from the comfort of an all-glass, climate-controlled gondola. For nearly 30 years, Dollywood has been one of the most popular Pigeon Forge attractions among families and guests of the Smoky Mountains. Here, visitors will find a variety of roller coasters, shops, shows and great places to eat. While you are there, don’t forget to pick up souvenir or two that commemorates the Smoky Mountain sweetheart herself, Dolly Parton. If you and your family or large group are looking for ways to incorporate both entertainment and education, then be sure to add a visit to one of these interesting Pigeon Forge museums to your list of things to do in the Smoky Mountains while you are staying in one of our large Pigeon Forge cabin rentals. Take a trip back in time to the early 1900’s, and step aboard the infamous ship, the RMS Titanic. One of the most unique museums in the Smoky Mountains, this Pigeon Forge attraction is home to hundreds of historical artifacts that was rescued from the ship after it sank. While you are here, guests will be given a passenger card that they will hold onto throughout the tour, learning bits and pieces of the passenger as they go, and at the end they will discover whether or not they survived. Children are always given surviving passengers. Walk among the celebrities of now and yesteryear inside the popular Hollywood Wax Museum attraction in Pigeon Forge. With famous races ranging from Angelina Jolie to Lucille Ball, every guests to the Hollywood Wax Museum is sure to find an iconic person they admire. Don’t forget to bring your camera because guests are encouraged to take pictures next to their favorite celebrities throughout the tour. Step inside the Wonderworks attraction in Pigeon Forge to experience over 100 different hands-on exhibits that are designed to both educate and entertain guests. Inside, visitors will experience real-life hurricane strength winds, Earth moving earthquakes, walk on a bed of nails, and more. If you have a little extra time, don’t forget to sign up to experience the Wonders of Flight exhibit at this Pigeon Forge attraction that will take you and your group over 500 feet in the air in a hot air balloon. In the mood for some light-hearted comedy and a ton of musical entertainment? Look no further than the many entertaining Pigeon Forge shows located near our large Pigeon Forge cabin rentals. Modeled after the well-known Grand Old Opry in Nashville, the Smoky Mountain Opry show in Pigeon Forge adds its own Smoky Mountain twist. Here, guests will be amazed by the high-level of excitement and musical talent found during this Pigeon Forge show. Do you want to cheer for the North Side or the South Side? This is the big question asked to guests who visit Dixie Stampede in Pigeon Forge. The reason being is that this show focuses on two competing teams who are battling for the night’s championship. The competitions are horse riding, tricks, comedy and an exciting stunt or two. For dinner, this Pigeon Forge attraction serves up a heaping helping of a cowboy-style dinner that includes rotisserie chicken, creamy vegetable soup and more. If you don’t want to eat with your hands, remember to bring a set of silverware with you! Average Visit Length: 1.5 hours, but be sure to arrive roughly 50 minutes prior to the starting showtime for even more exciting entertainment. The added entertainment applies to all shows beginning at 6 and 8:30 p.m. The Blackwoods Morning Variety Show is unlike any other show in Pigeon Forge. Located inside the Smoky Mountain Opry building, this show incorporates comedy, country music and gospel as a way to offer guests a fun and memorable start to their day. Shows run Tuesday through Sundays every week. What is the fastest you have ever seen someone saw through a tree? What the longest you have seen someone balance on a rotating log in water? Whatever your answers are, we can gurantee you have not seen anything quite to the level of excitement found at the Lumberjack Feud Dinner show in Pigeon Forge. During the show, guests will cheer on their favorite lumberjack from two feuding families as they compete for a victory. Location: 2713 Parkway, Pigeon Forge, Tenn. 37863. 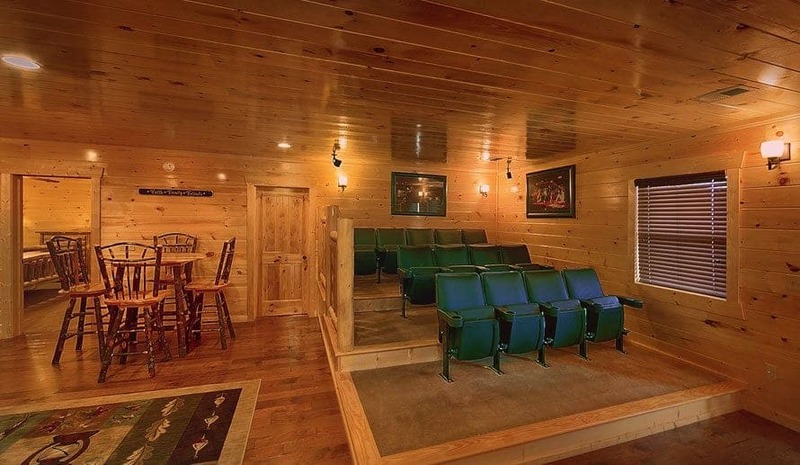 The Comedy Barn Theater in Pigeon Forge is a long-standing staple for family fun and entertainment. This exciting attraction in Pigeon Forge combines exciting tricks with hilarious comedy that is sure to have guests on the edge of their seats throughout the show. 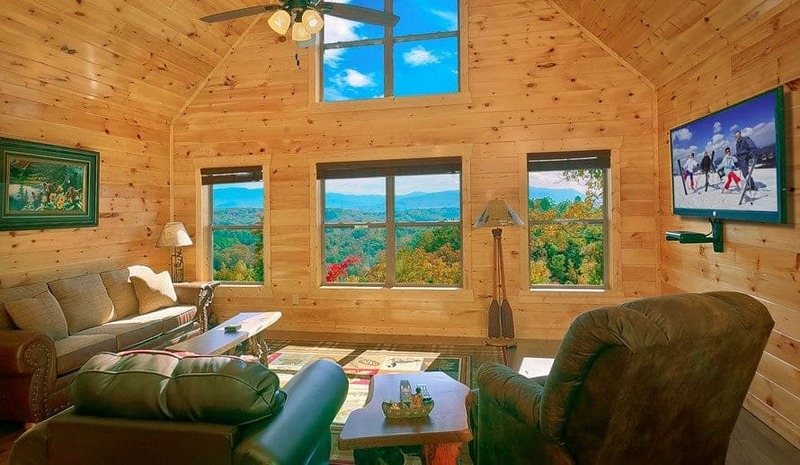 Now that you have discovered all of the fun and exciting Gatlinburg and Pigeon Forge attractions that can accommodate your large group vacation in the Smoky Mountains, you can finish up finding the perfect place to stay. 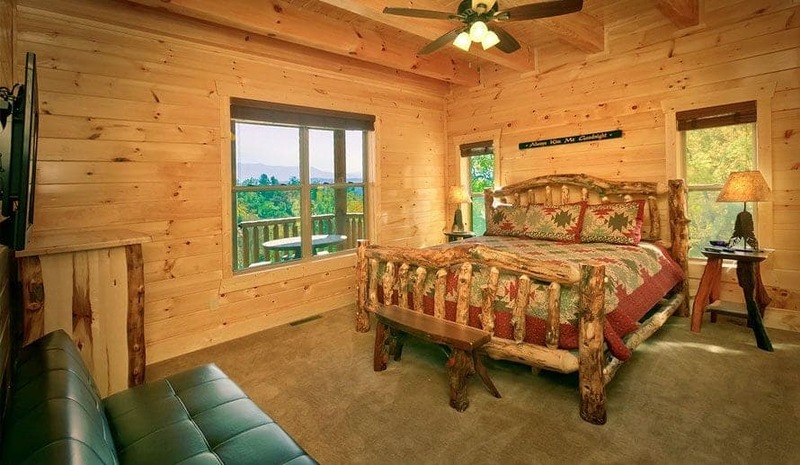 Our large cabins in Pigeon Forge range in size from 8 bedrooms cabins all the way to an impressive 16 bedroom cabin in Pigeon Forge that can sleep over 74 guests at one time. 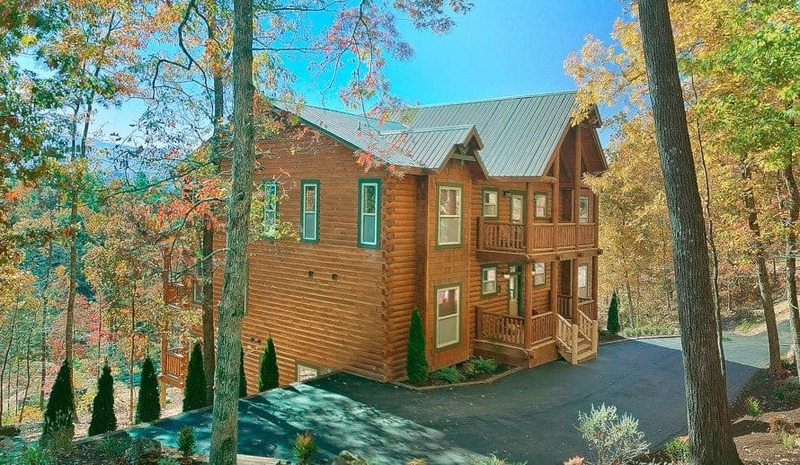 With all of the space, our large cabin rentals in Pigeon Forge are by far the perfect space for your next Smoky Mountain wedding, family reunion in the Smoky Mountains, church retreat or business function. 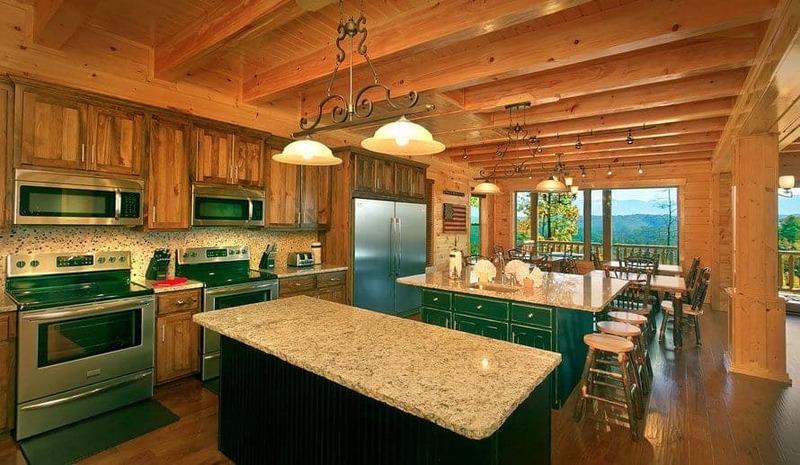 To begin planning your next large group Smoky Mountain vacation today, give us a call at 1-877-544-9594.